O&G Industries, Connecticut’s largest privately-held construction company, recently completed phase III of construction at Rocky Hill High School. 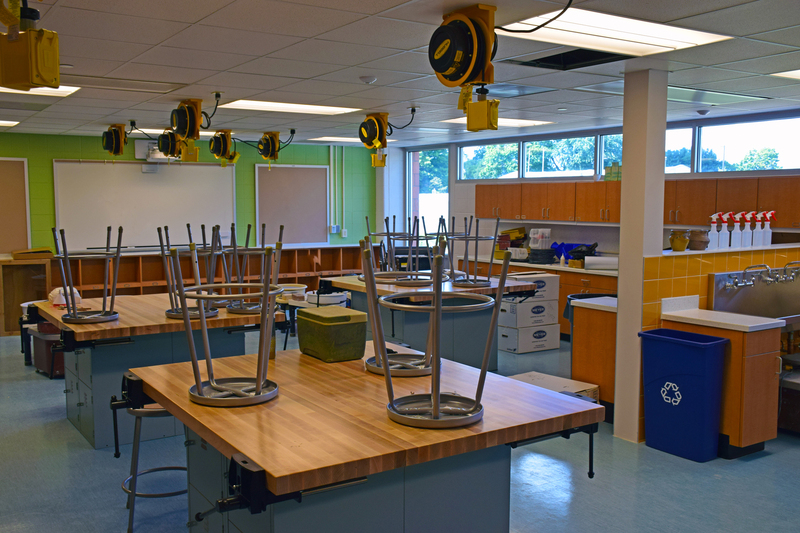 Several key components of the project were turned over for the start of the school year including the gym, kitchen, cafeteria, a botany lab, chemistry labs, art rooms, nursing station and classroom space. Final project completion is scheduled for the fall of 2017. O&G is the Construction Manager on this 3-year, 177,000 square foot renovate as new project working alongside project architect Friar Associates. O&G was also the Construction Manager for the School’s previous renovation in 1977. O&G recently completed several Greater Hartford area building construction projects including a new entrance at the historic Cathedral of Saint Joseph, the new admissions building at Miss Porter’s School, an interior renovation at St. Francis Hospital’s Comprehensive Women’s Health Center and renovations at Hartford’s Union Station.